Systemic Lupus Erythematosus (SLE) is a chronic, multi-organ autoimmune disease. Neuropsychiatric manifestations, including neurologic (central or peripheral), psychiatric, and cognitive disturbances, have been reported to range from 14 to 75% in SLE patients. The determination of central nervous system (CNS) involvement has been based on manifestations ranging from overt disturbances such as seizure, stroke, or psychosis, to diffuse and more questionable CNS disturbances, such as mild mood disorder, headache, and subtle cognitive deficits. The pathogenesis of these latter more subtle and diffuse manifestations is unknown and the diagnosis of CNS involvement remains problematic. More recently, “CNS” SLE has been used to describe only those patients with overt CNS disturbances, while all others are categorized as “Non-CNS” SLE. Regardless of the classification criteria used to determine neuropsychiatric and/or CNS involvement in SLE, cognitive disturbances have been reported in up to 80% of patients with SLE when mild impairment is included. The most frequently reported deficits are in the areas of attention, speed of information processing, learning, and working memory (WM). The primary objective of this proposal is to examine the underlying pathophysiology of CNS involvement in the cognitive disturbances seen in SLE patients without overt CNS manifestations (e.g. stroke, seizure, psychosis). 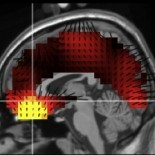 SLE patients will be studied using: (1) event-related brain potentials (ERPs) to obtain indices of brain function; (2) conventional and unconventional quantitative magnetic resonance imaging (MRI) to obtain indices of anatomic pathology; and (3) neuropsychological (NP) measures to determine the pattern of cognitive deficits in these patients. The NP battery will be composed of multiple tests grouped into cognitive domains, with particular emphasis on attention, WM, and processing speed. The ERP measures will be obtained from two paradigms that are sensitive to the WM components of encoding, maintenance, manipulation, and matching/response selection. MRI measures will focus on magnetization transfer ratio (MTR) to quantify tissue loss and microscopic tissue injury. The roles of active and inactive disease, medication use, and psychological factors will be carefully considered. Healthy control participants will also be studied. It is hypothesized that in patients with “Non-CNS” SLE, MRI (particularly MTR), and ERP (amplitude, latency, condition-related scalp topography, and single trial latency variability) will be sensitive indices of the cognitive deficits seen in SLE. The ability to define more clearly the information processing deficits seen in SLE and the underlying anatomical and functional basis of these deficits, will further the understanding of possible pathophysiological mechanisms of this disorder and lead to improved classification and treatment. There are five components to this study: A medical exam, an interview, a neuropsychological evaluation, an EEG evaluation, and an MRI. Participants are scheduled to come to Buffalo General Hospital for all five of the components. All of the components are scheduled within a two week period. 1. The medical exam (Day 1) is a brief evaluation of lupus symptoms along with a blood draw. It is important to have these samples so that we can relate markers of illness to the measures we are studying. 2.The neuropsychological evaluation (Day 1) takes about three hours. This evaluation includes standardized measures of learning, memory, language, and spatial abilities. 3.The interview (Day 2) takes approximately two hours. The participant fills out forms and answer questions. The purpose of this part of the study is to understand how their illness affects their daily life and their mood and emotions. 4.The EEG evaluation (Day 2) takes about two hours. This is a very simple safe procedure during which the participant will have small disks placed on their scalp. 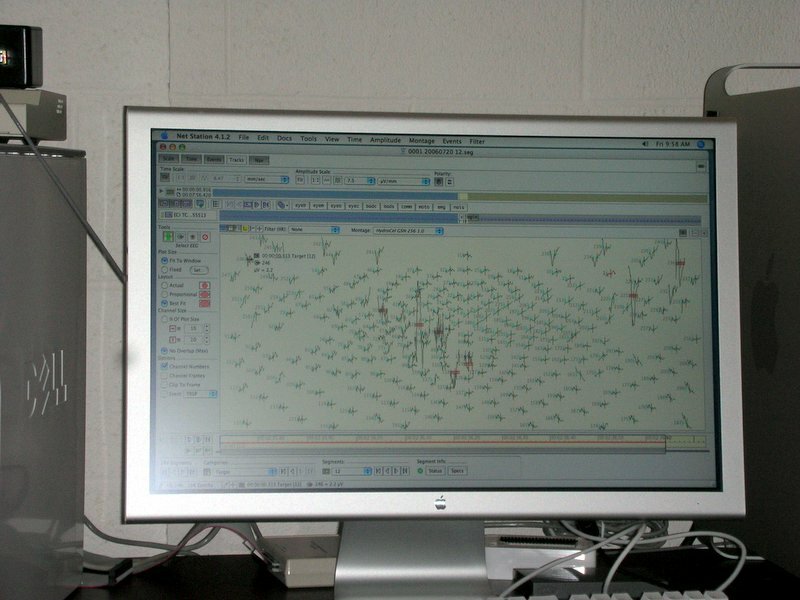 We will measure their brain waves while the participants perform some simple tasks presented on a computer screen. 5.The MRI will be done either on day 3 or within a couple of days of completing the first four components of the study. The MRI takes about 1.5 hours.